Ronan Farrow, the witty Twitter personality and diplomatic journalist-type who's recently been in the news regarding matters that have nothing to do with this article, has a TV show premiering on MSNBC February 24th at 1PM. 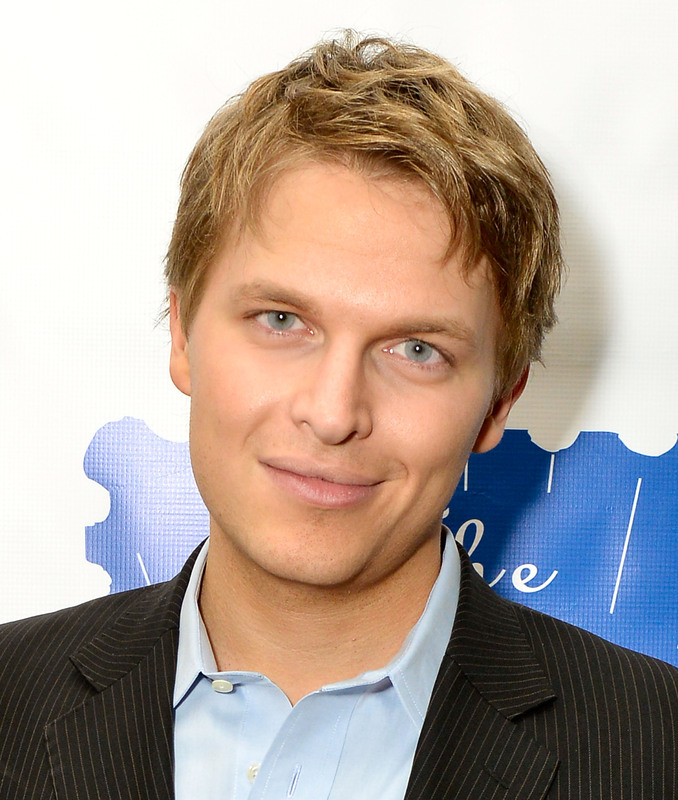 And now that show has a title — Ronan Farrow Daily — which is great for people who like very obviously named things. In a video announcement of the news, a particularly boyish looking Farrow steps up to the plate to not only deliver the news, but also give you the "inside scoop" as to how he constructs his clever newsy tweets. Which is to say: he reads something, thinks about it, and then tweets. It's real groundbreaking stuff! Of course Ronan Farrow Daily isn't that far a cry from the other show names over at MSNBC: The Rachel Maddow Show, The Ed Show, and Andrea Mitchell Reports all follow the same format. But even stuff like All In with Chris Hayes, Hardball with Chris Matthews, and The Last Word with Lawrence O'Donnell tried to get some creativity in there. We're surprised, given Farrow's own cleverness, that he stuck with "Daily," a word better left attached to phrases like "Lunch Special." Perhaps Farrow's trying to bring to mind another clever media man and his dog and pony show: The Daily Show with Jon Stewart. Now, if Farrow has the sort of whipsmart acumen he'll parlay that connection into some hilariously charming, ratings-baiting war between himself and the Comedy Central man because who wouldn't want to watch these two go tete-a-tete on what's wrong with American policies and governance?